A league source has confirmed to Mile High Sports that Paul Millsap, who had mid-season surgery on his left wrist last year, is now fully healthy and has looked great during summer workouts. Millsap also announced that he is 100 percent healthy via his Instagram account. This is a gargantuan development for the Denver Nuggets because during his exit interview, Millsap told the media that it could be up to a year until he has full range of motion in his injured left wrist. “The doctors said — and I am just quoting what the doctors said — it will be sore with ups-and-downs for about a year,” Millsap said during his exit interview. Millsap is hyper-important to the Nuggets. 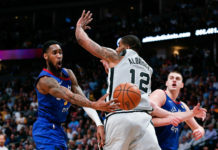 When he is on the floor, Denver’s offensive rating jumps up to 111.1, which would be third-best in the league, and their defensive rating falls to 107.1, which would be tied for 17th-best in the league. 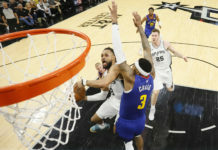 Those ratings equate to an overall net rating of +4.1 which would slot Denver in as the sixth-best team in the National Basketball Association according to net rating. If those numbers bear themselves out over 82 games, the Nuggets won’t just make the playoffs, but they could potentially fight for a top-four seed in the death gauntlet that is the Western Conference. 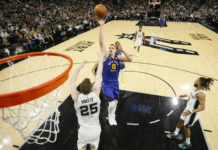 The Nuggets have made it a firm goal of theirs to return the playoffs in the 2018-19 season after missing the postseason for five-consecutive years and Millsap returning with perfect health is the first step towards that goal. Millsap averaged 14.6 points, 6.4 rebounds, 2.8 assists, 1.2 steals, and one block per game last year over 38 games played, but he was playing in spite of his injured left wrist for the final 22 games of the season. Because of that, his production took a sizable hit after he returned from injury. 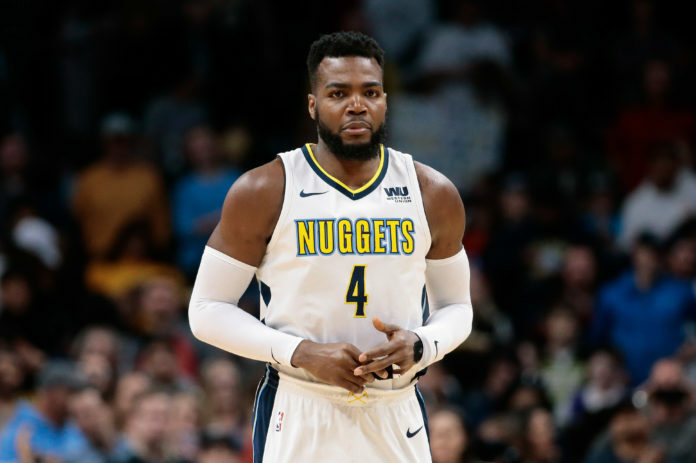 Now that he is fully healthy, expect Millsap’s numbers, and the Nuggets win total, to take a leap forward with Millsap returning at full health.